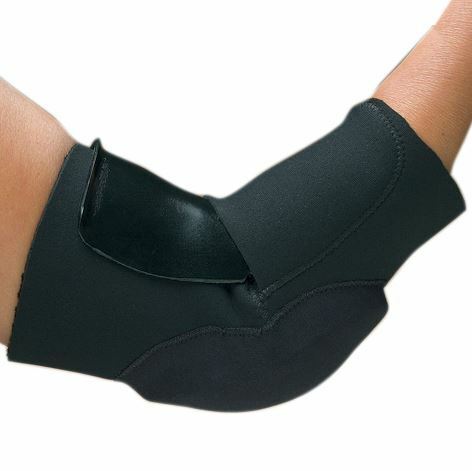 Comfort Cool Ulnar Nerve Elbow Orthosis with thermoplastic insert and gel pad, provides protection and support for bursitis, ulnar nerve irritation, tendinitis and post-surgical repair. 1.6mm perforated neoprene with a soft terrycloth liner. 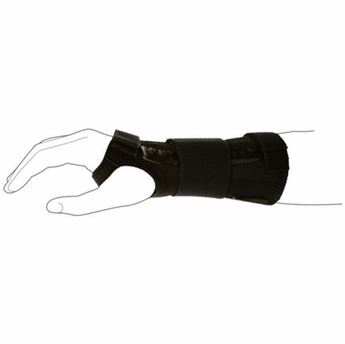 Circumferential design with open proximal end is easy to put on and adjust. 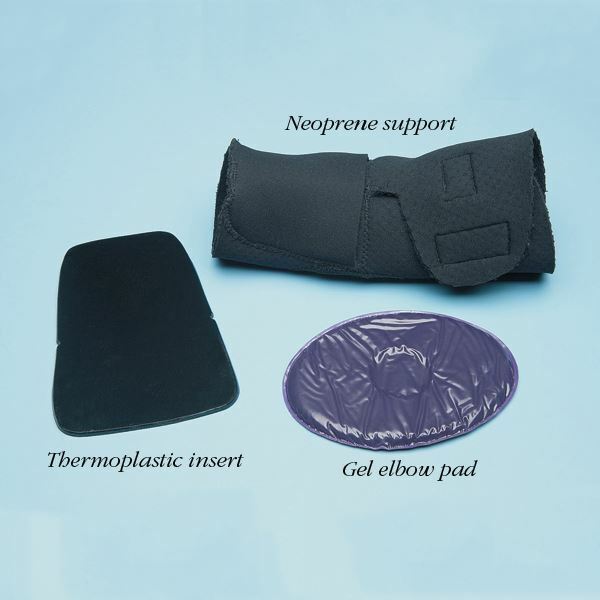 Thermoplastic splint insert can be moulded to custom fit of the elbow at the flexion limit. Design allows the elbow to move from full extension to the limited flexion position, protecting the ulnar nerve from damaging tension. 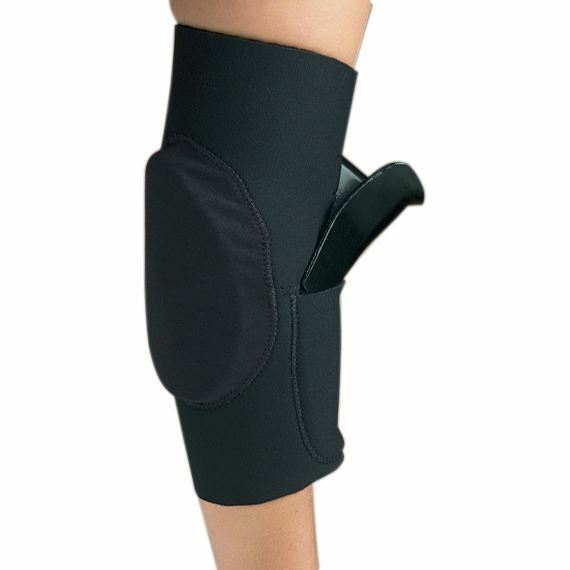 Removable gel pad protects the vulnerable posterior elbow from painful bumps and pressure points. Universal left or right. To size, measure elbow circumference. If between sizes, choose the larger size.